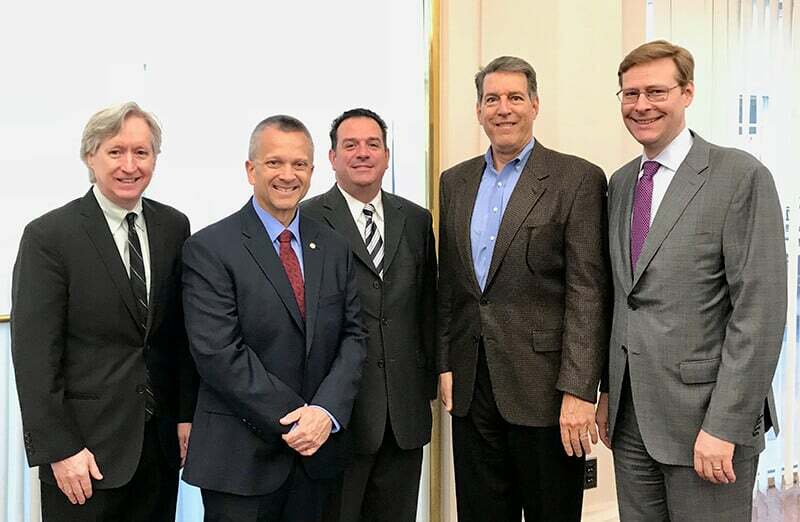 HARRISBURG, PA – Pennsylvania’s House Finance Committee held an informational meeting on HB 1289 on June 19 at the Capitol Building in Harrisburg. The bill addresses a tax incentive for C-Corporations to consider employee ownership, also called employee stock ownership plans, which all states offer except Pennsylvania and Arkansas. “It would help us as a state to adopt the same type of allowances that are allowed under federal law for these plans. These plans do a lot for the economy, for the employees and they provide revenue into the treasury for the government,” Rep. Daryl Metcalfe, the bill’s sponsor, said. There are already more than 300 companies in Pennsylvania that are either partially or fully employee-owned. They include Sheetz, Wawa, Dansko Shoes, Bradford White Water Heaters and VooDoo Brewery. Ed Renenger, a lawyer at Stevens & Lee, a Pennsylvania-based law firm with approximately 150 lawyers and 50 non-lawyer business and consulting professionals, offered testimony encouraging that the bill be passed into law. “House Bill 1289 removes the disincentive built into the Commonwealth’s tax system for a business owner of a C Corporation to sell to an ESOP and I hope the Committee agrees that this disincentive should be removed so that the Commonwealth can reap the benefits that ESOPs bring and create a sustainable structure to help keep more of our best businesses here in the Commonwealth,” he said. Kevin McPhillips Executive Director of the Pennsylvania Center for Employee Ownership, said the bill fixes a competitive disadvantage that hurts the state’s economy when owners evaluate succession plan. In private industry, 70 percent of business owners over the age of 55 have no succession plan, which is not good considering that 4.5 million companies will transact over the next 10 years in the U.S.
“We are on the cusp of a Silver Tsunami as baby boomer business owners start to retire and sell their businesses,” McPhillips said. One of those Pa-based business owners is Ken Baker, CEO of NewAge Industries located in Southampton, Pa. Baker offered testimony at the finance committee meeting noting that since the inception of the ESOP at his company in 2006, NewAge’s share price has gone up over 800 percent. The company manufacturers of plastic tubing, hose, and a supplier of RFID solutions. Texas will reintroduce a house bill that would elevate ESOP companies to Historically Underutilized Businesses or HUBs status. “Pennsylvania should not only catch up to the 48 other states with this legislation but also consider subsequent legislation to make Pennsylvania the national model for employee ownership,” Zugell told the finance committee.